There are currently no Evergreen Park notable alumni listed. Be the first to add an EPHS famous alumni. The memorials below are for students of Evergreen Park High School that have passed away. 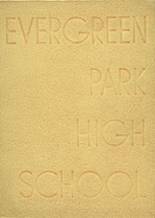 There are currently no memorials for Evergreen Park alumni. 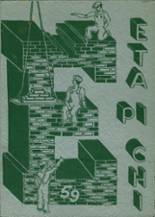 The alumni of EPHS in Evergreen Park, Illinois are encouraged to use this site to relive their time in high school by sharing with former students and teachers of Evergreen Park High School. For former Evergreen Park High students from IL, you can view the class reunion information that has been posted by other site visitors. In addition, we encourage you to post your profile in the alumni directory, share information about the school activities you were involved with and reconnect with Evergreen Park High School alumni. If you haven't already, we also encourage you to register for free on this site. You may also want to check out the latest news and school memories. Laura Davidson has someone searching for them. Gerrie Malloy has someone searching for them. Carl Nodus has someone searching for them. Michael Booze has someone searching for them. Dirk Mooth registered as a EPHS Class of 1966 alumni. 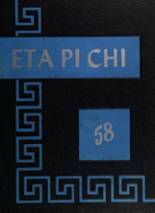 Dirk Mooth requested a EPHS yearbook from 1965. Alex Deninger Elizabeth registered as a EPHS Class of 2015 alumni. Alex Deninger Elizabeth updated her profile picture. Alex Deninger Elizabeth added photos to their personal photo gallery. Alex Deninger Elizabeth requested a EPHS yearbook from 2015. Carole Mcgovern Severin updated her profile picture. Carole Mcgovern Severin added photos to their personal photo gallery. Carole Mcgovern Severin registered as a EPHS Class of 1960 alumni. Jason Hart updated his profile picture. Jason Hart added photos to their personal photo gallery. Jason Hart registered as a EPHS Class of 1994 alumni.